.2 update, which adds the much anticipated ECG app. While users may already receive notifications of irregular heart rhythms, the ECG will go one step further. To record an ECG, simply open the Series 4 ECG app and hold a finger on the digital crown for 30 seconds. The two points of contact correspond to a single ECG. According to Apple, each measurement is classified as either atrial fibrillation (AFib), sinus rhythm (normal), or inconclusive. The results are stored in the Health app and can also be exported to PDF files for sharing with physicians. Just take your results with a light dose of healthy skepticism. ECGs with your doctor generally include 12 leads, while Series 4 is only a single lead. 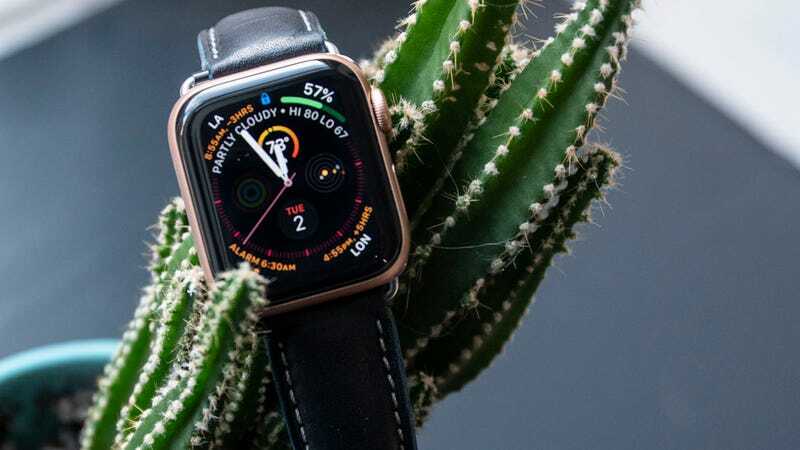 And while Apple received FDA approval for the Series 4, this is a de novo rating. In essence, this means that it is a novel device that is unlikely to cause damage and is not comparable to a medical device in the hospital. Nevertheless, Apple reported that it had carried out a study with 600 participants with a sensitivity of 98.3 percent in the classification of AFib and 99.6 percent with sinus rhythms. To get the new update, just go to the Watch app on your iPhone and go there General. There you should see a notification in the Software Update menu. If you do not see the update immediately, it may take a few seconds for the rollout to reach you. I have not received it despite several updates. Note, however, that the ECG function requires the rear crystal and the Series 4 electrodes. So if you have an older Apple Watch, you're out of luck.